The University’s Fitness Challenge runs from Sunday, Feb. 10, to Sunday, March 10. Members of the University community can register individually or in teams of up to five people through noon on Friday, Feb. 8. 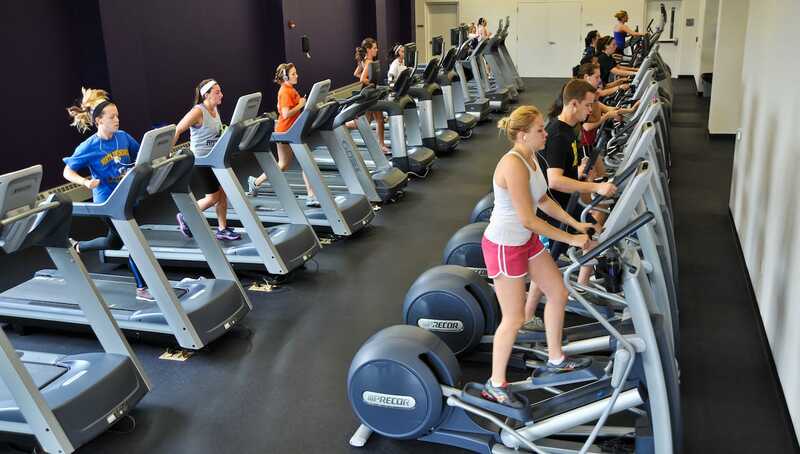 The University of Scranton’s Center for Health Education and Wellness (CHEW) will offer its annual Fitness Challenge from Feb. 10 to March 10 this semester. “The great thing about the fitness challenge is it’s open to the entire campus community, so students, faculty and staff are able to register through noon on Friday, Feb. 8,” Stephanie Adamec, director of CHEW said. The challenge encourages students, faculty and staff to complete a minimum of 150 minutes of exercise per week for at least three out of the four weeks. “The reason why it’s 150 minutes is because the CDC recommends 150 minutes of moderate activity as a guideline for exercise,” Adamec said. Students like Taylor Septer of Langhorne, a senior secondary education – general science major at Scranton, finds the exercise challenge to be mentally relaxing. Last spring semester, CHEW had more than 850 students, faculty and staff signed up for the challenge, logging over 6,550 hours of exercise. This semester, more than 800 members of the University community have signed up. “I would classify this a Scranton tradition, we have more than 500 people register every year,” Adamec said. Students, faculty and staff can complete the challenge individually or with a team of up to five members. Kristen Gensinger of Seaford, New York, a junior strategic communication major at the University, is on a team with her friends. This year, there are all new optional “Wellness Challenges” to complete for people who signed up. One of the new challenges is called “POUND – Rockout Workout.” The event takes place on Feb. 14 and Feb. 21 and lets students, faculty and staff unwind while playing music. Adamec recommends bringing a friend along while doing the challenge to get into the routine of staying fit. The Fitness Challenge begins Sunday, Feb. 10. Once the challenge is completed on Sunday, March 10, students, faculty and staff who submitted three out of four fitness logs can qualify for a raffle and a free t-shirt.